As we head south on our drive from Los Angeles to San Diego, we switch on the radio. Cold Play’s A Sky Full of Stars comes on. It’s a good song. I don’t get these lyrics. Does ‘you’re a sky full of stars’ mean ‘I think you’re fat’? Mind blown! Chris Martin, you’re not a nice man! Oh, and yes, we’re in LA. Didn’t we tell you? Mrs Romance is a tad excited about this trip. We’ve decided to head east and chase the winter. Smart move or what? We’ll be on the west coast of the USA for the next nine weeks, flying back to Christmas Day and hopefully stinking hot weather! In the meantime, watch out America. 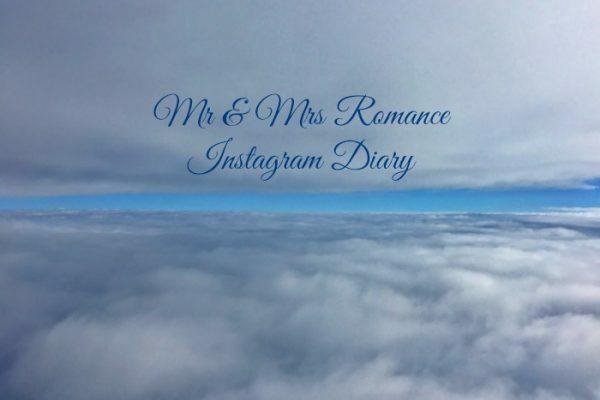 The Romance is coming your way! I’ve hung on to these old media luggage tags and used them in a vague hope that our bags won’t get thrown as much as they usually do. Perhaps the ‘chuckers’ on the tarmac will see the word ‘media’ and think ‘we don’t want bad press about our chuckin skills’ and place rather than hurl our things onto the plane. Alternatively, they might think ‘bunch of pricks. Enjoy that broken bottle of wine you’re ‘transporting’ across international borders’. And then again they might not care either way. Anyway, here we are at the departures lounge waiting for the next 14 hours of sitting. I’m kind of looking forward to being stationary for an extended period of time… though that novelty’s sure to have worn off. We’ll see. Finally in our (awesome) hotel, we’re realising that sitting down for 14 hours and crossing the International Date Line isn’t that much fun. But that’s ok. Our media tags seem to have done the trick – nothing missing, broken, searched, squashed or stolen. So that’s a win right there! Our hotel truly is cool. 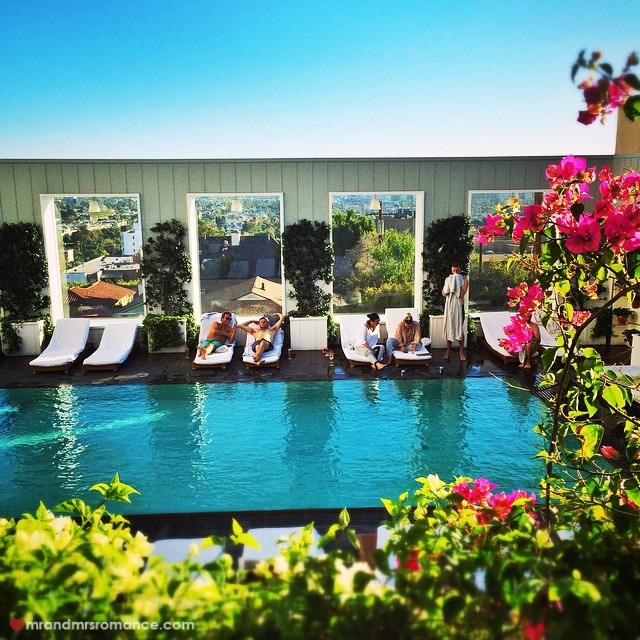 We’re staying at the Mondrian in West Hollywood. It’s incredibly styled with all kinds of interesting features. This mirror revolves and the plain mirror on the other side acts as the TV. So when you hit the power on the remote, the TV comes through the mirror. So cool. 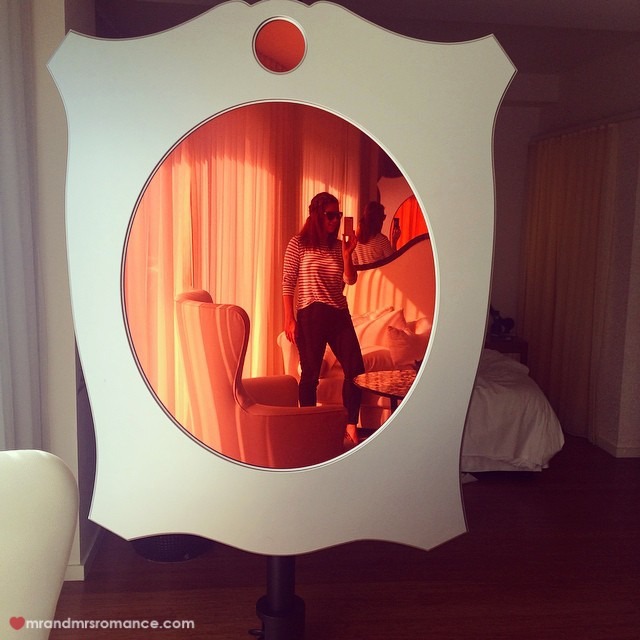 Mrs Romance also loves the mirror for its true purpose: selfies! The pool and Sky Bar of the Mondrian is so cool too. We’re on the side of a hill, so the windows open up to overlook eastern LA. We decide the place to be is at the bar, not by the pool. I’ve already had too many burritos to feel comfortable doing a bomb here. Plus my shiny white body may cause permanent retinal burn to my fellow bathers. No, the bar suits me just fine! To my delight, the recommendation from our waitress at the hotel to go to Pearl’s Bar down on Sunset Blvd is an absolute corker! It’s another rooftop bar overlooking this funky street, and the burger they’ve just introduced on Pearl’s menu is bloody sensational! It’s hard to express how good this burger is. I’ve voted it as the second best burger I’ve ever eaten, astonishingly knocking the Royale with Cheese from the Royal Albert Hotel in Surry Hills down to 3rd. Something I never thought would ever happen. 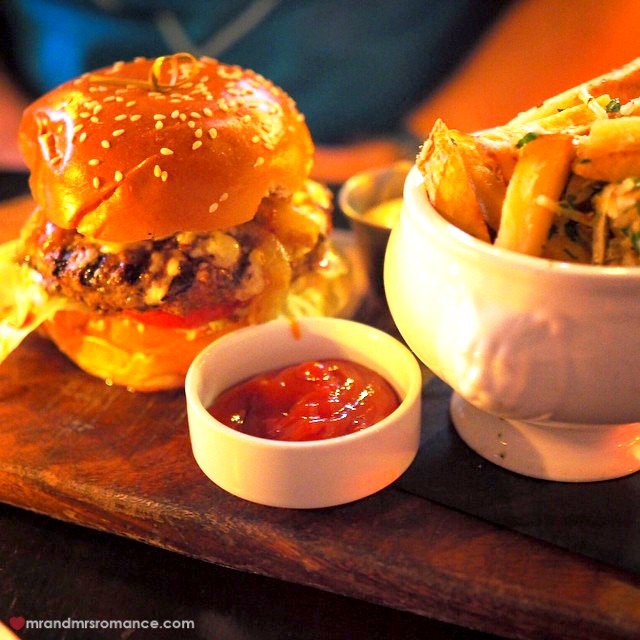 Top spot, and my burger benchmark, still goes to the blue cheese burger I had in Sullivan’s Steakhouse in Chicago last year. This burger has an interesting and most unexpected bonus. It’s a very juicy burger, and the joyous fat that’s run all over my hands (apart from making my mitts stink of beef for a while), has made my skin incredibly soft. All that delicious collagen has rejuvenated my hands to a younger, former glory. Perhaps I should order another burger and give my face a good rub! Today we travel south to San Diego. But before we hit the freeway, we make our way to the LA Observatory. 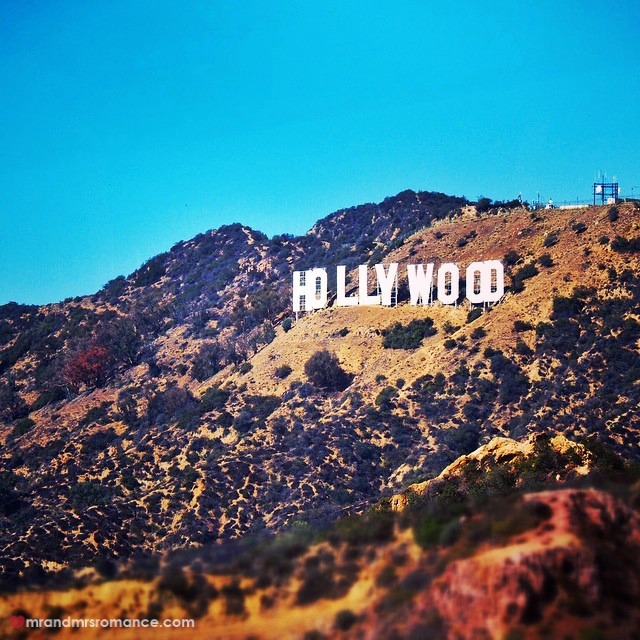 From here is a pretty good view of the Hollywood sign. It’s something I’ve always wanted to see. Not a bad start to the trip: not even a full 24 hours in the country and I’ve already taken a scoop from my bucket list. We finally arrive in San Diego (traffic was bad thanks to an accident either side of the freeway) and head out for our friend Brendan’s birthday. His lovely wife Mona has discovered a cool rooftop bar with a huge fire pit. It’s on top of the Andaz Hotel (check out @rooftop600 on Instagram). 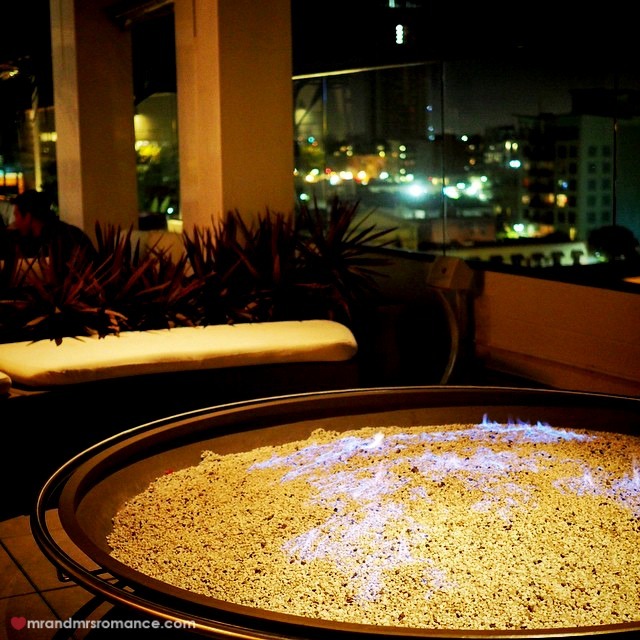 Sadly our picture doesn’t give the scale this awesome fire pit deserves. 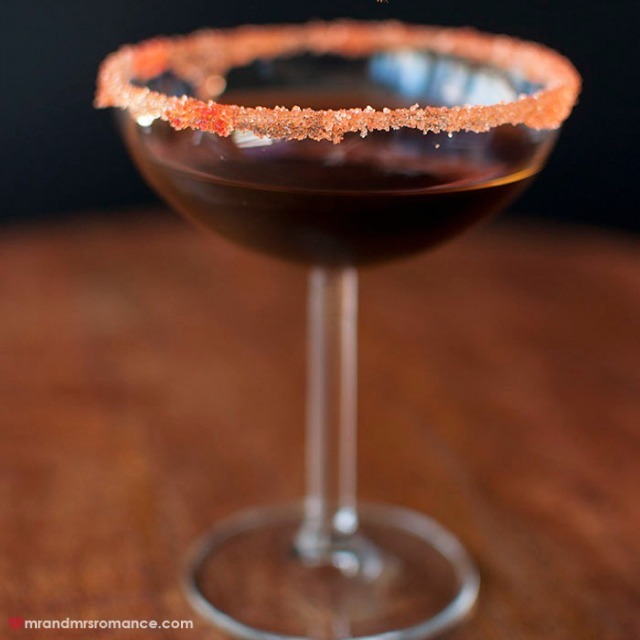 This week’s Friday Drinks is part two of our Halloween Cocktail series. This is our Black Promise. Its primary ingredient: the delicious Mr Black coffee liqueur we’ve featured before in our cocktail for Nikki from Styling you. How do you know when you’re in San Diego? 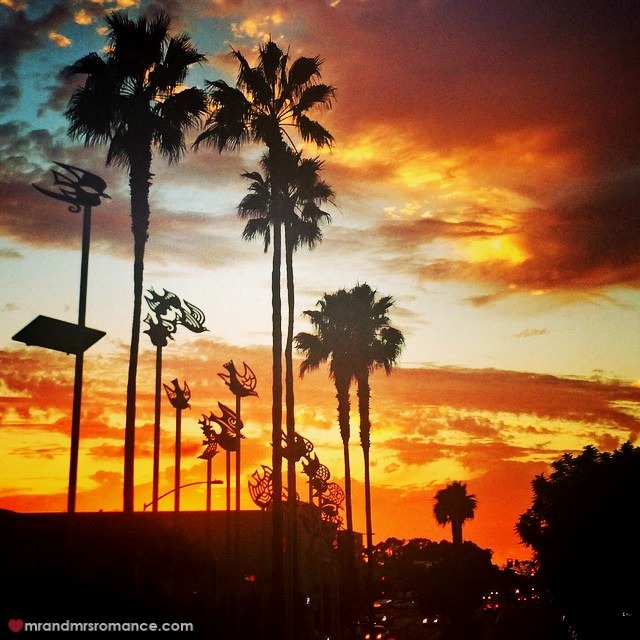 Really tall palm trees and sunsets like this! Not bad, ay? It’s lunchtime! We’ve zipped up to La Jolla (pronounced la hoya) to a place our friends go to all the time. And no wonder. 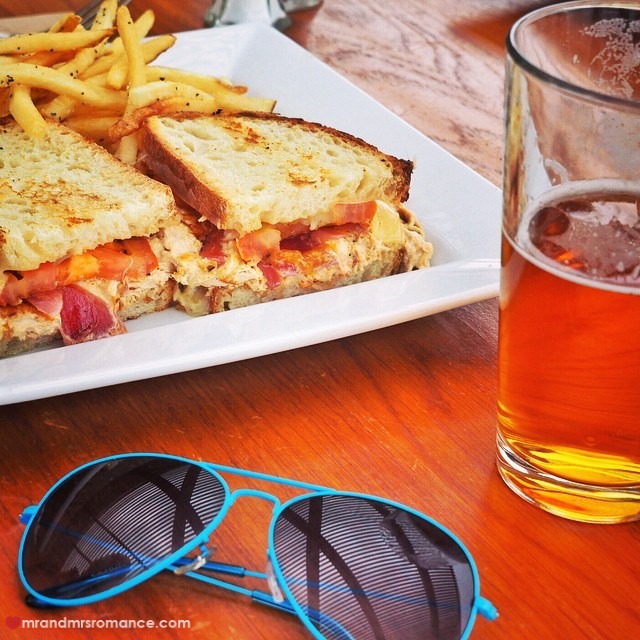 This place looks out over the popular surfing beach and it serves up some delicious food. Mrs Romance’s seared salmon salad looks pretty good, but I’ve only got eyes for my tuna melt – their signature sandwich. In a word: awesome! 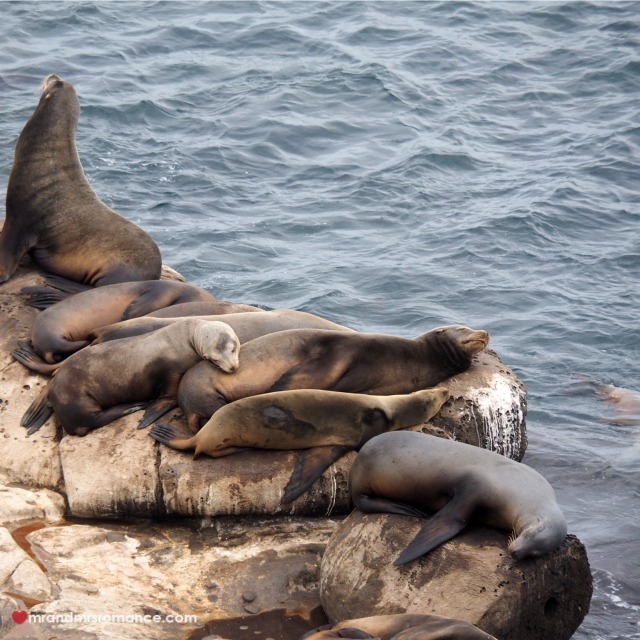 After lunch, we drive round to La Jolla Cove, which has a resident population of seals and sea lions. It’s great to see them up so close and feeling completely comfortable in our company, but wow – I’m glad we ate before coming here. These buggers stink! After this, we’ve got to get a shift on – we’re going on a Halloween pub crawl tonight and we’ve still got most of our costumes to organise! Will we be ready in time…? Of course we will! 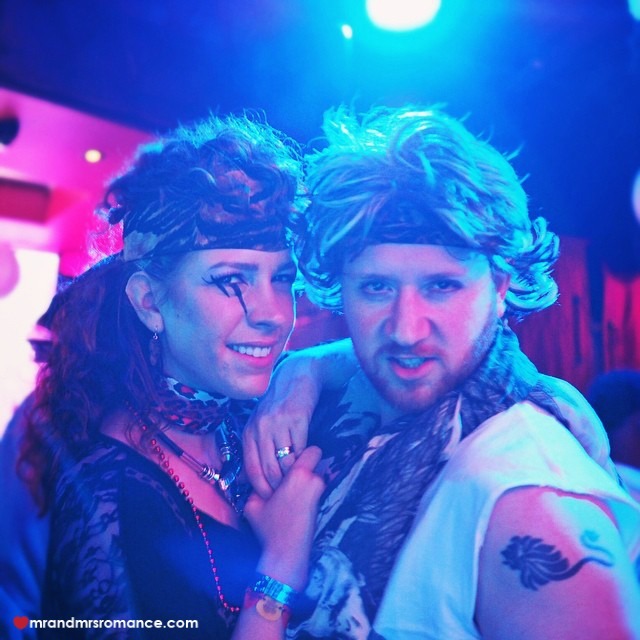 Our ’80s rock themed outfits have come together at the last minute and I reckon we look pretty good, don’t you?! 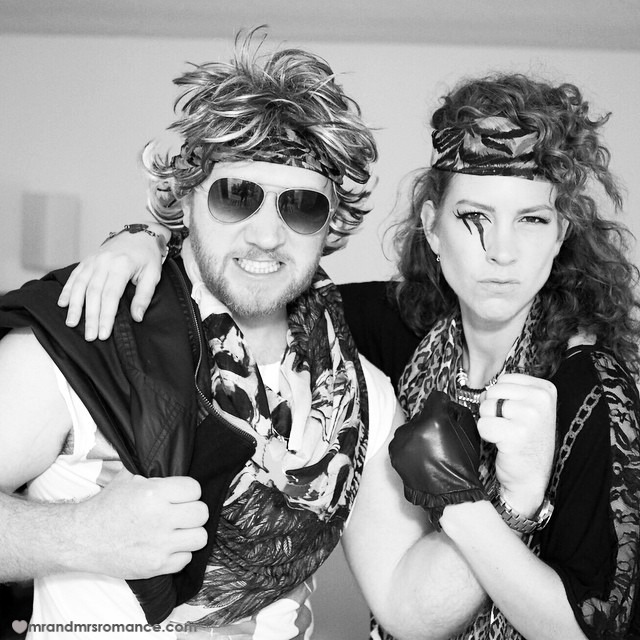 Our friends Mona and Brendan are also retro’d up and looking cool, so now it’s time to hit the town! 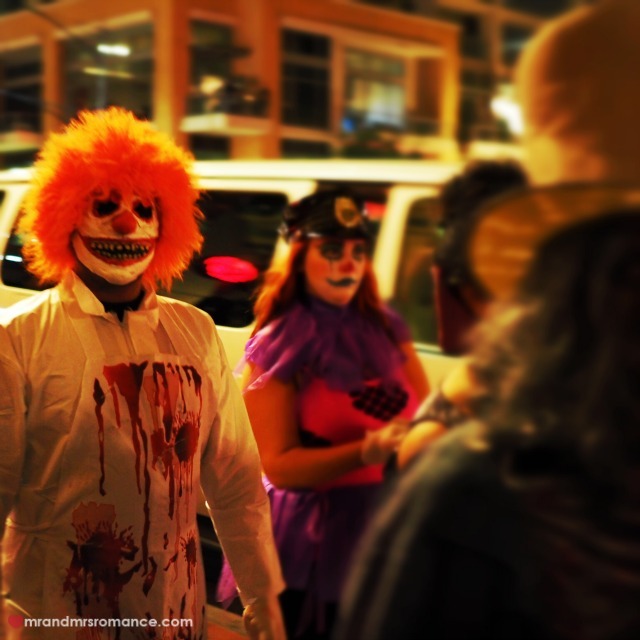 San Diego on Halloween is nothing short of a freak show! Everyone’s dressed up, and the effort and imagination on display is incredible. This scary clown will give us both nightmares for weeks! Looks like even Death needs to take time out to Tweet these days! It’s an awesome night! 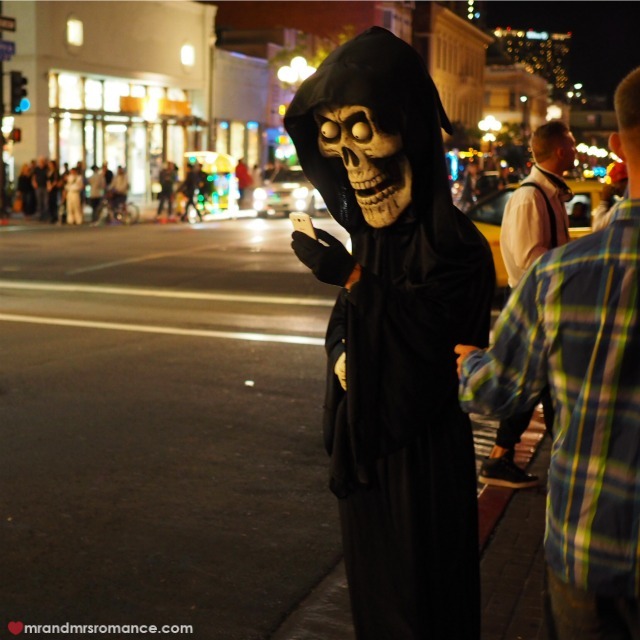 Mrs Romance has been so excited about being in San Diego for Halloween for so long and it’s clear to see why. The feeling around town is electric and everyone looks so great. Best time to be here. 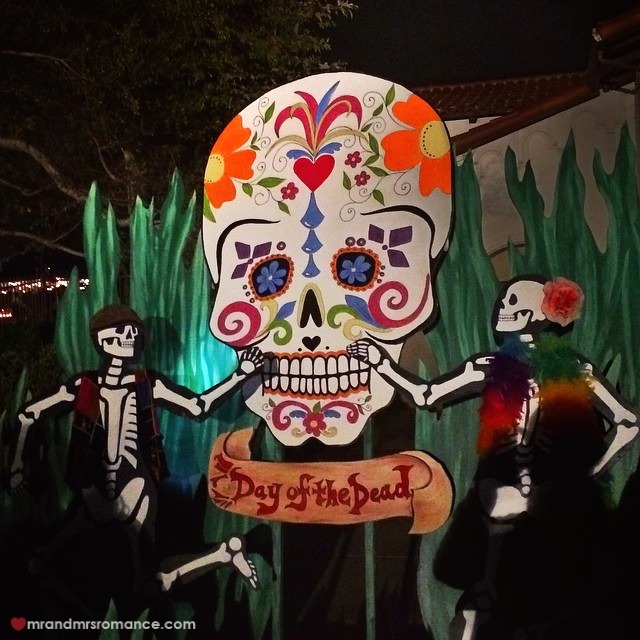 Today is Dia de los Muertos – Day of the Dead. It’s a day that people recognise and celebrate lost loved ones’ lives. It should be a sad day but it really is a celebration more than anything. We’re in San Diego Old Town this afternoon. Like its name suggests, this part of the city has been preserved so that its Mexican and pioneer heritage is remembered. The Dia de los Muertos celebrations are the most fervent and traditional here. Everyone is having their faces painted with the sugar skull designs and people can have their photos taken in front of this sugar skull sign. It’s an interesting experience and not as macabre as we though it was going to be. In the old El Campo cemetery, which goes back over 160 years, there’s a band and people decorate the old wooden cross graves with messages, flowers and candles, while on the street, there’s an area people can write messages to loved ones who have died. And there are so many Mexican restaurants here! For dinner, we end up in Miguel’s Cocina, mostly because the wait time here seems the least prohibitive (only an hour! ), but also because the food here’s supposed to be quite good. 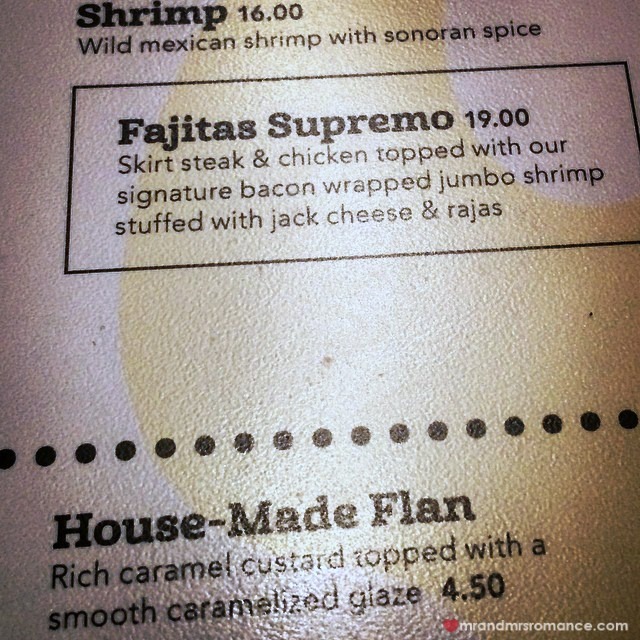 Thankfully (my heart’s word, not my stomach’s) I haven’t ordered this Fajitas Supremo, but if I were a little hungrier, I think my curiosity would get the better of me! Steak, chicken, bacon, cheese-stuffed prawns, chilli… it’s got everything! 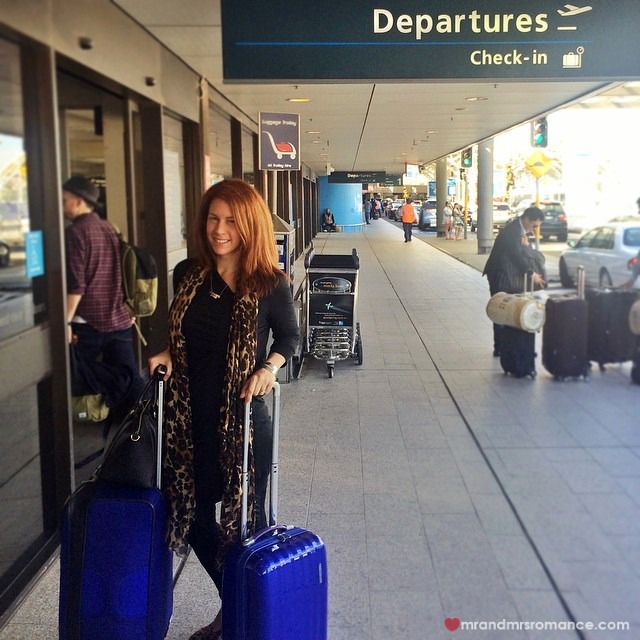 Do you have any tips for us while we’re in San Diego? Anything specific we should be eating? What did you get up to this Halloween? What do you think of Chris Martin? Tell us in the comments! Thanks Kat! Yes, it’s so good here. Trying to get work done but it’s all just so distracting! We’ll get there though. Oh….awesome update. What a cool COOL experience for you two. And you now have me craving Mexican Food!!!! I can’t wait to see more of your trip. Looks like you had fun for Halloween and love the costumes. 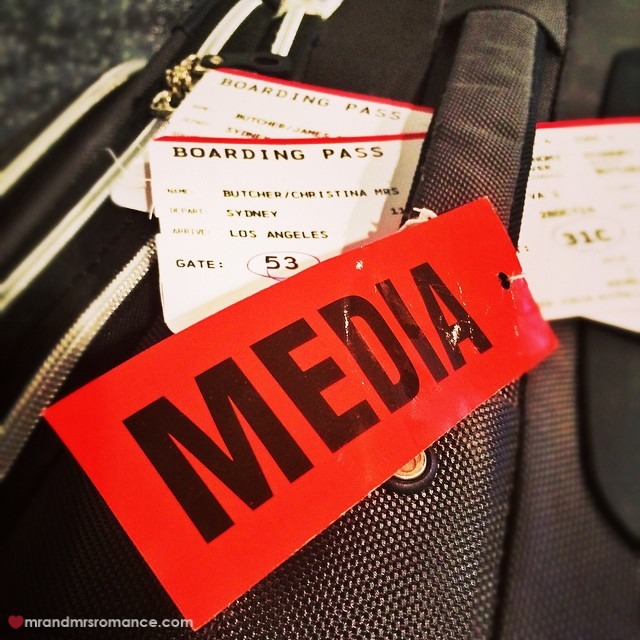 My favorite idea from this post is using media stickers on my luggage. Pure genius guys! Just need to locate some. Day of the dead was fun living here in Phoenix and glad to see you spent the day in Old Town, what an experience. Is that what you’re calling yourself these days, Jim – The Romance? 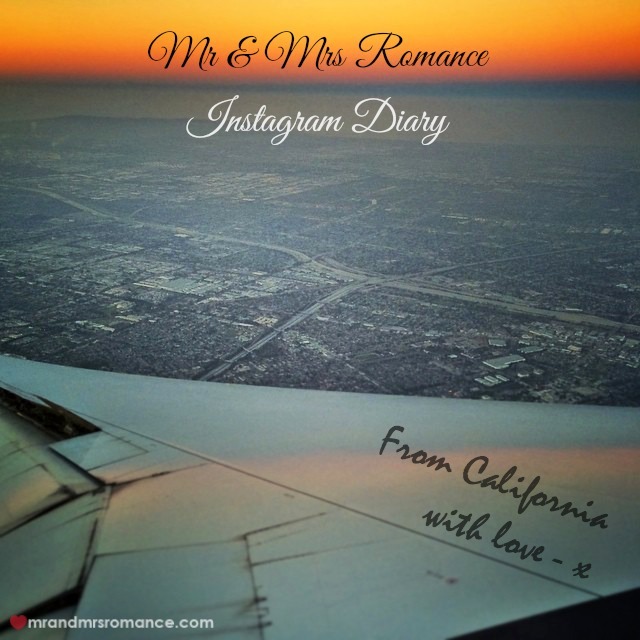 Awesome first Instagram Diary post from the US. Can’t wait to see more. Yes, and from now on, I’ll be referring to myself entirely in the third person, Sonia. He likes that… no, I can’t do it. It just sounds way too creepy. Yes, I agree. Chris did amazing things on Halloween, didn’t she?! I’d take my hat off to her, but you might see the edges of my wig then!